1000 Words is an online magazine dedicated to contemporary photography in the UK and beyond. It publishes in-depth exhibition and photobook reviews, essays and interviews alongside carefully curated imagery, often around a particular theme. 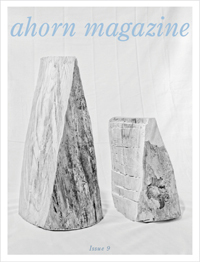 Ahorn Magazine is an online publication about contemporary photography. Dedicated to highlighting the work of emerging photographers, Ahorn is also an important platform for original written content, presenting interviews, essays, book reviews and more. Ahorn Magazine is founded and directed by Daniel Augschöll and Anya Jasbar.  Artist Portfolio Magazine is a free digital online magazine that contains the art of both emerging and established artists from around the world. The artwork featured in the magazine comes directly from the winners of various themed and juried international art contests held at MyArtContest.com. Each winner was chosen not by their status in the art world, but by the merit of their work. Artnews.org is free. Since 2001 we work consistently an alternative non-profit platform for art people to explore, publish and exchange information on contemporary art. Collaborative work and free content creation enable Artnews.org to provide a comprehensive resource for professional and educational research. You can register and contribute too. ArtSlant.com, the #1 contemporary art network, opened its first arts portal in Los Angeles to the contemporary art world in February 2007. It now has 15 editions worldwide providing art information and access with local depth and regional focus. Working with a team of editors, writers, art connectors and art watchers, ArtSlant provides up-to-minute calendars of exhibits and art events as well as the best in art buzz, reviews, commentary and events coverage on a city-by-city basis to the worldwide arts scene. ArtSlant's artist programs bring opportunities for exposure and exhibition to our worldwide community of contemporary artists. Please enjoy our special slant on the great art cities of the world. At Artspace, we're changing the way the world experiences art. 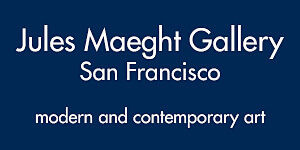 Our mission is to help collectors and aspiring collectors discover, learn about and collect fine art. Our curators collaborate with top museums, galleries and cultural institutions to provide the best collection of contemporary art in the world. We offer limited editions and original works from the most recognized artists to rising stars and make them available for sale online, at affordable prices. Membership is free and grants our subscribers first access to our most coveted limited editions, enabling them to preview and collect these exclusive works before anyone else. The Artspace team has a deep appreciation for the positive role that artists, cultural institutions and non-profit organizations play in our society. Every single sale of artwork on the site directly supports an artist, institution or non-profit. By collecting with Artspace, you're helping to sustain creative culture around the globe as well as supporting important organizations that are dedicated to making the world a better place. What makes Artspace unique is that we bring you the finest selection of curated artworks that reflect the issues of our time. We're an art advisor – a trusted source for information, access and exclusive works you can't find anywhere else. When you collect with us, not only are you collecting the most important artists working today, you're making a good investment: an investment in art, an investment in artists and an investment in yourself. BLUR magazine is an international e-magazine founded in 2007 with the mission to promote creative photography worldwide. It represents a meeting place for photographers, both prominent professionals and talented amateurs yet to be discovered, and photography lovers from around 190 countries. In these times of photographic hyper production, BLUR magazine aims to slow the pace and encourage its readers to reflect more on the images and to experience photography more profoundly. This is why BLUR omits technical specifics of photographs and focuses instead on creative, impactful photography and its creators. BLUR magazine is published quarterly in an interactive PDF format, and is run by photography enthusiasts from Croatia, USA, Canada, and Germany. burn. is an evolving journal for emerging photographers. burn. 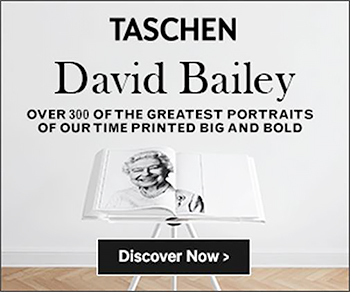 is curated by magnum photographer david alan harvey. BWGallerist is dedicated to promoting fine art photography with special emphasis on Black and White photography. BWGallerist is a publication of Forrest R. Old Associates, LLC. CO-mag is a collective blog/magazine publicated in five languages with in-depth articles dedicated to contemporary photography and art. Camerapixo photography magazine is published online once a month. Presenting international photography and inspiring photographers around the world. Currently it is published in english, polish and spanish with different other languages in the near future. 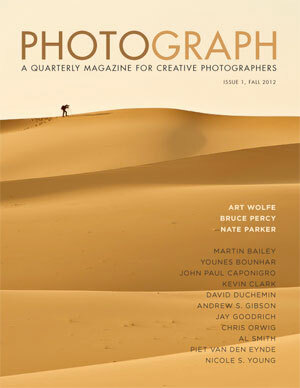 Photography magazine promotes photographers and shows wide dimension of photography. Reaching over ONE MILLION readers. 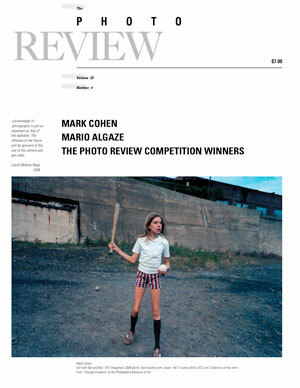 Online monthly devoted to contemporary documentary photography. Each issue features 8 photographers (both - emerging and already known) presenting their photo stories. Lots of great photography showing the world as it is, without any digital manipulation. The magazine is strictly photographic, thus written parts are as limited as possible. It promotes photography as a universal form of communication between people of different cultures, genders, religions and political beliefs. Language versions: English and Polish. 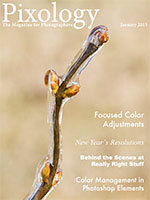 f11 is a FREE digital magazine. Presented in a page flip format, the magazine is published eleven times each year. Read by thousands all over the world, f11 is for professional and enthusiast photographers, designers and creative people working with images, as well as buyers and collectors of photography. Each issue is also available for download as a PDF file. FlakPhoto.com is an online art space + digital photo publication that celebrates the culture of 21st century image-making. The site is produced by Andy Adams and site highlights new series work, photobook projects and gallery exhibitions from a global community of contributors. 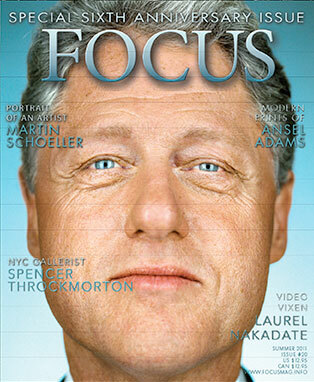 Focus Magazine is a quarterly journal filled with articles on the latest news, trends, information on collecting fine art photography. Every issue Focus Magazine goes in-depth with gallerists, curators, collectors and photographers to bring our readers closer to the thoughts, ideas and suggestions of influential people the market today. Fraction Magazine features the best of contemporary photography, bringing together diverse bodies of work by established and emerging artists from around the globe. Each monthly on-line issue focuses on a central theme, creating an implicit dialogue between differing photographic perspectives. Fraction also offers in-depth photography book reviews. For his outstanding work, David Bram, Fraction's editor and publisher, was selected as the 2010 recipient of the Griffin Museum's Rising Star Award. It’s Nice That exists to champion creativity across a whole host of disciplines. We publish exciting, original and engaging work from both established names and talented newcomers. The Eye of Photography is the ultimate digital magazine where everything about photography is published daily, highlighted, discussed and archived for all professionals and amateurs to see... for free. Whether you are working in this industry as a buyer or a collector, in a festival or a gallery, as a professional or simply an amateur enthusiast of photography, The Eye was made for you. The Eye informs you of the latest trends, record breaking auctions, breaking news, reveals a long awaited book publication, shares the discovery of up and coming stars, allows you to read in depth interviews and offers all you need to know about the next must see exhibition whether you live in New York, Paris, London, Berlin, Tokyo or Shanghai. The Eye was born from the realization that no site on the web today regroups events, news and updates of the photography world all in one place. We believe that at a time when 1 billion people communicate through images using Facebook, Instagram, Flicker and other social media sites, it is time for Photography to have a place where all its forms, colors and trends can be expressed, visualized and archived. 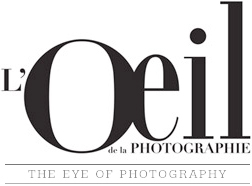 Translated every day in English, French, and now Chinese, The Eye wants to be the indispensable search tool for all the who’s-who and what’s-what in photography, as well as a place of inspiration for all amateurs and photography lovers. It has already become the most trusted and recognized web based photography magazine read by all professionals around the globe. The goal of The Eye is to be the ultimate reference guide for the millions of people who everyday visit a museum, a gallery, buy a photographic book or a print or need information on anything regarding the photographic world. Lens is the photography blog of The New York Times, presenting the finest and most interesting visual and multimedia reporting — photographs, videos and slide shows. A showcase for Times photographers, it also seeks to highlight the best work of other newspapers, magazines and news and picture agencies; in print, in books, in galleries, in museums and on the Web. Lens Culture is an online magazine celebrating international contemporary photography, art, media, and world cultures. DISCOVER photography from all continents and various points of view: documentary, fine art, photojournalism, poetic, personal, abstract, human, and street photography. LENSCRATCH is a blogzine that explores contemporary photography and offers opportunities for exposure and community. Considered one of the 10 Photography-Related blogs you should be reading by Source Review, Wired.com, Rangefinder and InStyle Magazine. 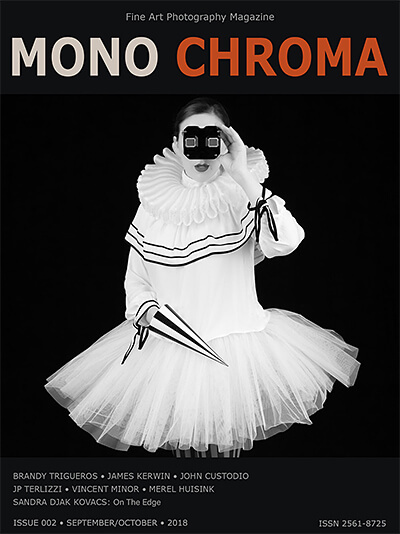 Mono Chroma is a (PDF) based fine art photography E-magazine which celebrates works in black and white and color. Each bimonthly issue features six photographers ranging from world renowned professionals to those just emerging. Mono Chroma serves as an inspiration to many as it draws in each reader with its in-depth Q & A interviews and photos. You get to know about each featured photographer, where their inspiration springs from and how their process works. 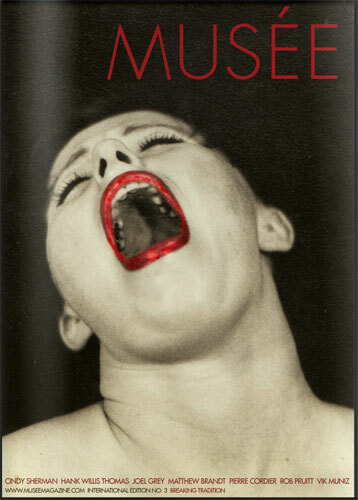 Musée Magazine is dedicated to displaying the work of international emerging photographers. Edited by noted fashion photographer Andrea Blanch, Musée Online focuses on what's hot in both New York and the international photography community. We publish reviews and photos from gallery openings as well as interviews with established artists. Musée seeks to provide exposure to help launch the careers of young photographers. Nature Photographers Online Magazine is the official website of the Nature Photographers Network™, an international cooperative network of amateur and professional photographers dedicated to the art and technique of nature, wildlife and landscape photography. ND Magazine was founded in 2008. From the beginning there was only one mission of this initiative: to promote photography and photographers. 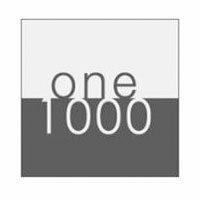 One, One Thousand is an online publication focusing on photography produced in the American South by emerging and established photographers. Founded in 2010 by photographers Daniel A. Echevarria and Natalie Minik, One, One Thousand features new photographic works both from and about the South. 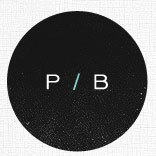 Born in May of 2009, PetaPixel is a blog about photography geared towards tech-savvy photo-enthusiasts. 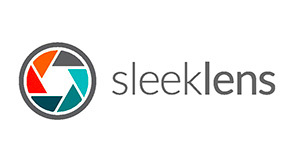 Our goal is to inform, educate, and inspire in all things related to photography. In case you didn’t know, the “peta” in PetaPixel is the prefix that denotes 1015, just as the “mega” in megapixel denotes 106. Online photography bookstore featuring over 30000 fine-art photography books, secure ordering, a powerful keyword full-text search. Craft & Vision have entered the magazine publishing business with the launch of PHOTOGRAPH, a pdf magazine similar in format and concept to the Craft & Vision ebook collection. Approximately half the magazine is dedicated to showcasing the photos of three photographers. There are beautiful Icelandic landscapes from Bruce Percy, black and white landscapes of Maine and New England from Nate Parker, and a stunning set of images taken in Burma and Hokkaido, Japan from Art Wolfe. There’s a brief interview with each photographer giving you an insight into the thought processes behind their work. The rest of the magazine contains articles from writers such as David duChemin, John Paul Caponigro, Younes Bounhar, Chris Orwig, and myself. You’ll learn about using backlight, colour calibration, selecting focal lengths for portraiture and how to light a portrait using fluorescent lights. Photoworks promotes engagement with photography and new thinking on its place within contemporary culture. We do this by commissioning and publishing new work and writing on photography and by producing exhibitions, books, participation and learning projects and events including the Brighton Photo Biennial. Based in Brighton, UK, but international in ambition, collaboration is at our core, the widest distribution of our work is our aim and how photography is consumed, our opportunity. We are a registered charity and a National Portfolio Organisation, funded by Arts Council England. Pixology is Tim Grey's eZine that offers monthly content focused on digital photography and imaging, delivered to you via email as a PDF document. You can then archive each issue, put them on your mobile devices, search the text, print them, and much more. Posi+tive Magazine speaks about photos, stories, reportages, every fragment that tells what’s happening in the world through different points of view. The magazine is published in PDF format every 6 months, both in Italian and English. 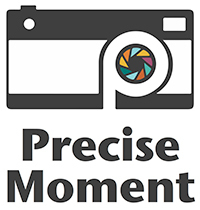 Precise Moment is an online weekly magazine dedicated to the craft, art, and stories behind photography and photographers. Our goal is to create in-depth articles that examine trends, emerging photographers, masters of the craft, and help contextualize the modern landscape of photography. Our namesake was inspired by the above quote by Henri Cartier-Bresson. Part philosophy, part narrative, and part examination of the photographers’ process, Precise Moment is The Moment of Capture Defined. Purpose is a meeting-place for known and unknown artists who wish to compare and contrast their visions of the world. Accompanied by an original soundtrack created by composers with varied perspectives, each issue is also a multimedia experience. The concept and editing of purpose are realized by Paul Demare (art director), Gilles Raynaldy (photographer), founders of the webmag, and Francesca Alberti (art historian). 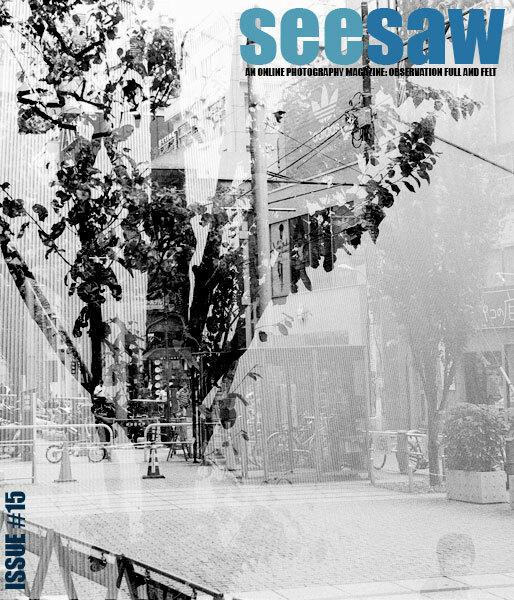 SeeSaw Magazine is an online photography journal dedicated to promoting and publishing photographic work and criticism. Silvershotz is more than a magazine; it’s a sumptuous 100 page journal featuring folios from around the world. Silvershotz in 2013 will be full digital delivery. 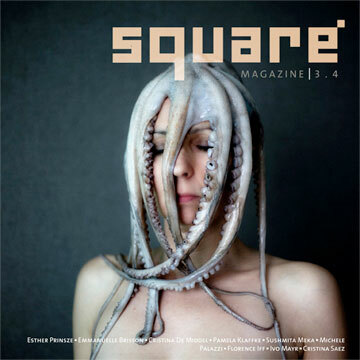 Square Magazine is a billingual online quaterly about square format photography. It was created in February 2010 by Christophe Dillinger with Yves Bigot, Carine Lautier and Clara Forest. The Big Picture is a photo blog produced by a select group of picture editors of The Boston Globe. 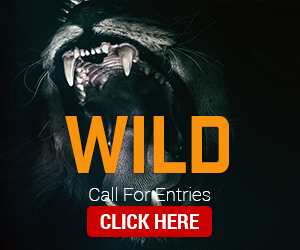 Entries are posted every Monday, Wednesday, and Friday. The Big Picture is intended to highlight high-quality, amazing imagery, with a focus on current events. 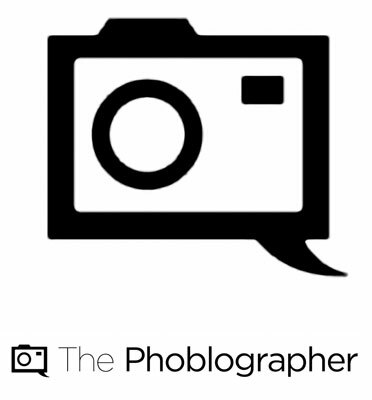 The Phoblographer is about photography reviews, tips, news, and culture. We explore the photography world and pop culture’s affects on the art form. Plus, we bring you all of our stories from a real world and down to earth perspective. Urbanautica is probably one of the top independent online publisher on photography. Beyond its editorial activities Urbanautica now regularly contributes to exhibitions, books, reviews, workshop and festivals. In the june 2012 Urbanautica has launched PHOTOEXHIBITIONS, the Journal on photography exhibitions, and in march 2013 PHOTOSCHOOLS a space about dialogue and exposure for students and schools of photography. 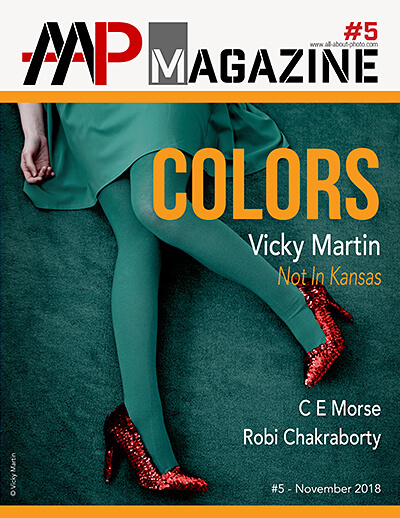 At the start of each month, the Magazine will present and examine a different theme facing the photography industry. Through interviews with photographic leaders, multimedia presentations and on-going international discussions, The Magazine brings you, our community, continuous engagement with the topics that affect the wider industry. ZoneZero ® is a site dedicated to image making & photography. Founded in 1995 by Pedro Meyer, ZoneZero ® has been both witness and active participant of the ongoing digital (r)evolution. ZoneZero ® first appeared online when the internet became a public resource, making it the oldest website dedicated to photography that is still standing and growing. We are proud to acknowledge that ZoneZero ® paved the way for thinking that viewing photography on a computer screen was a legitimate platform. Its name originated from a metaphor for the coming-off-age transformation that photography underwent from analog to digital. The name references Ansel Adam's "Zone System", as a starting point in the analog tradition and the ones and zeros that have become the basic DNA for everything digital. There is also the notion that ZoneZero ® has been at the very center, the starting point if you will, from which photography has taken many different directions. 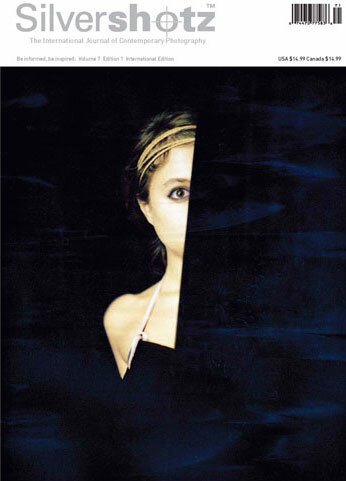 To use the words of the French poet Louis Aragon, in his preface to Modern Mythology, "Light is meaningful only in relation to darkness, and truth presupposes error. It is these mingled opposites which people our life, which make it pungent, intoxicating. We only exist in terms of conflict, in the zone where black and white clash." Hence ZoneZero ®.